Illuminate! 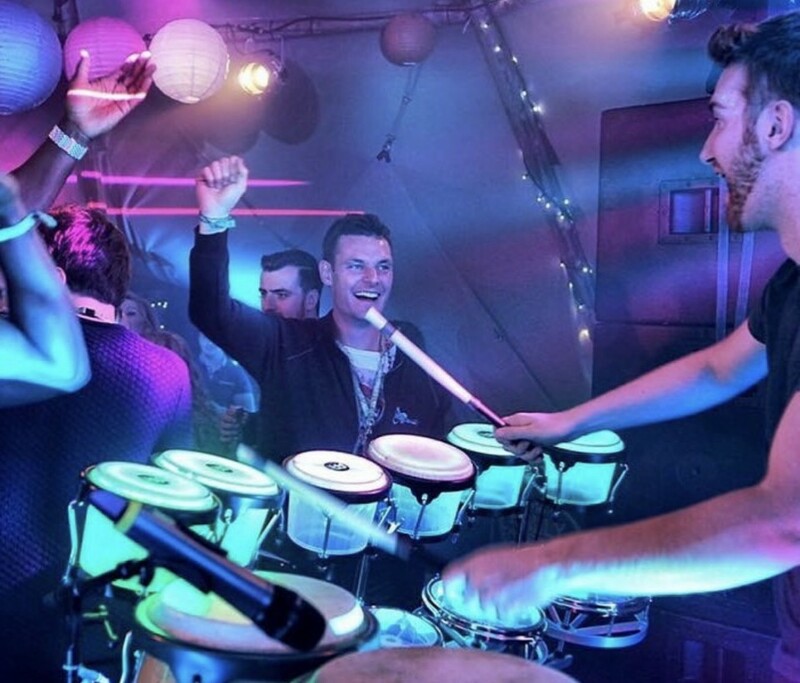 are a combination of the UK's top musicians using custom designed Light Up instruments and performing alongside their DJ, they bring all the energy of a live band - but with the almost unlimited playlist of a DJ. 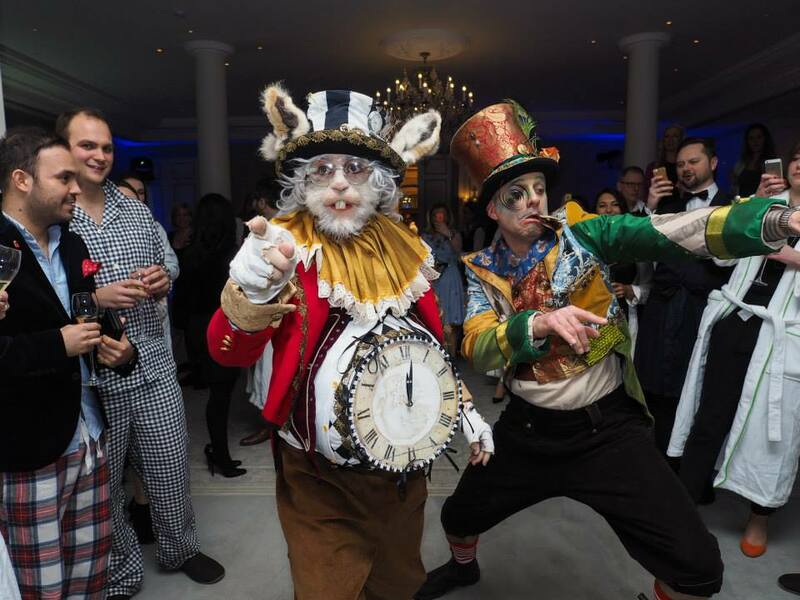 Looking for something different, alternative and unique for your next event? 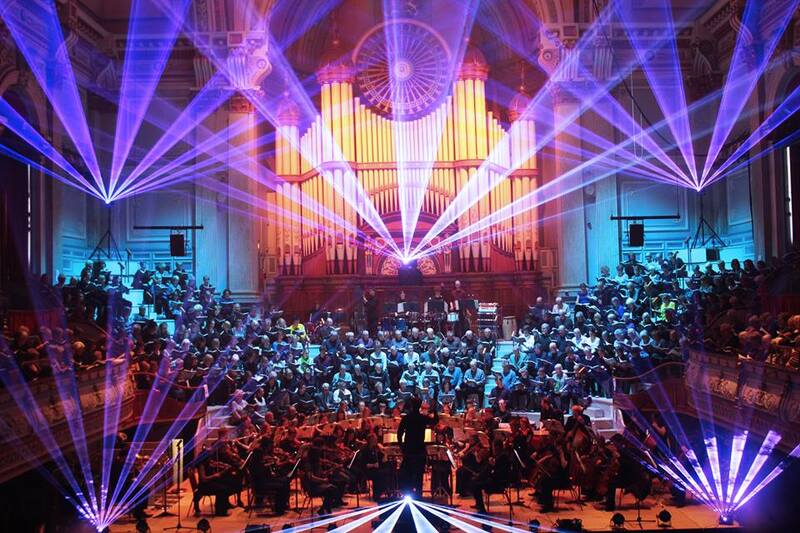 Want something both visually stunning as well as musically exciting? 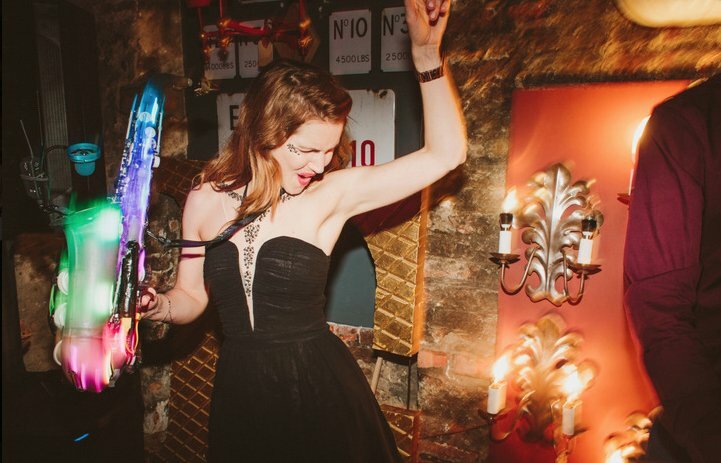 Need something to impress your guests as well as keep them dancing all night long? Then look no further than Illuminate! Illuminate! 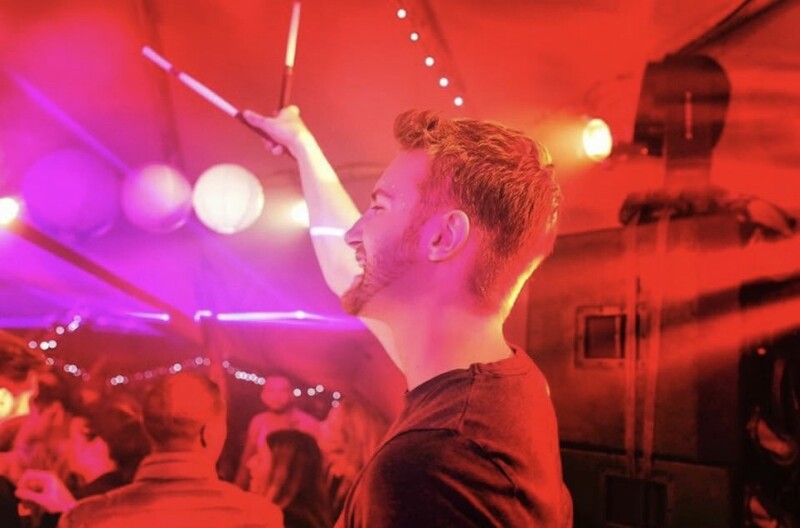 perform alongside a DJ so they have an almost unlimited playlist. They specialise in Ibiza style dance music from Jubel - Klingande and This Girl - Kungs to Infinity 2008 - Guru Josh Project and Lola's Theme - Shapeshifters. 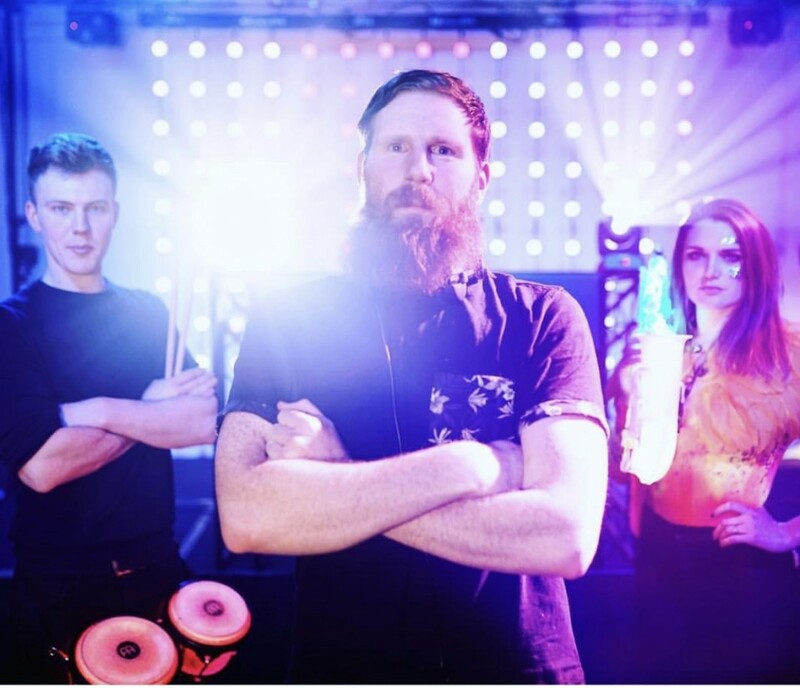 A DJ, Percussionist and Saxophonist Trio that perform with all the energy of a live band but with the never ending set list of a DJ! 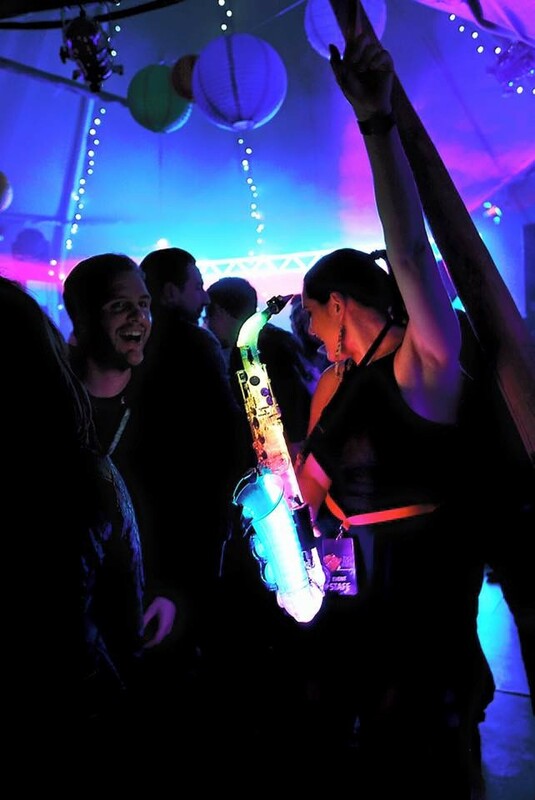 Using the LED Drums alongside the DJ Decks creates a party atmosphere right from the word go, and with the addition of a jaw dropping wireless Light Up Saxophone they can really get in on the action. All of these instruments are custom made, so you’re not going to see a show like this anywhere else! 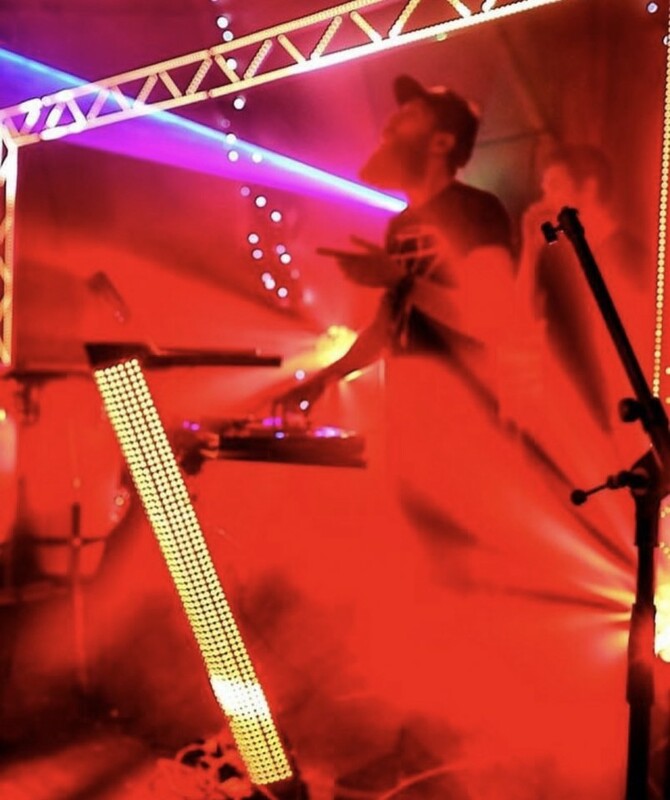 The idea behind Illuminate is to create an exciting, contagious and energetic party atmosphere that only live musicians can do, but at the same time have the ability to party all night long by combining with a DJ. 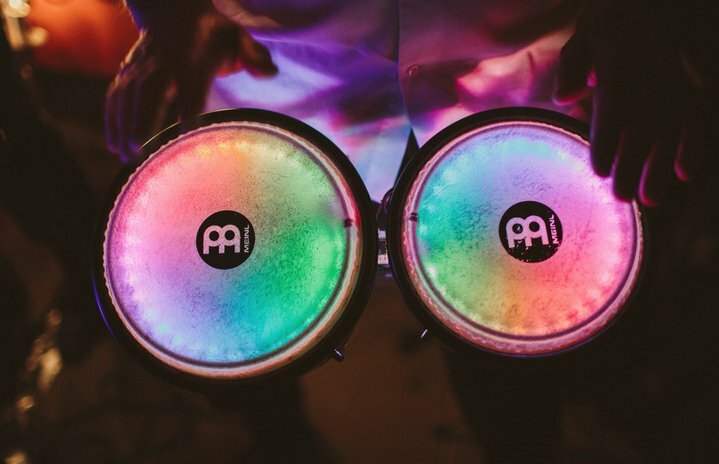 This combination brings a truly unique dimension to any Event, Wedding or Club Night and never fails to delight the entire crowd. 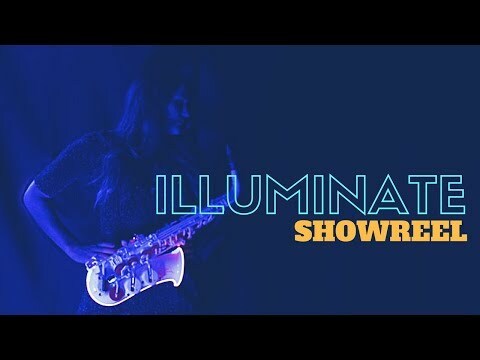 Illuminate also perform a classical music show experience set to amazing visuals from their light up instruments. 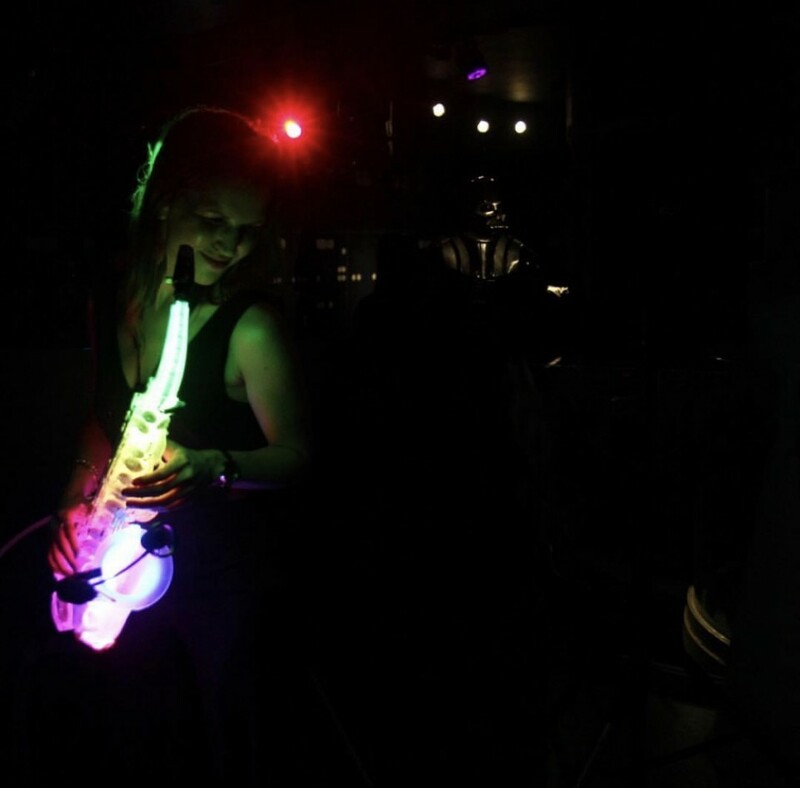 From the Future Harp to the LED Saxophone, Illuminate bring classical music to life which is an amazing addition to any event! 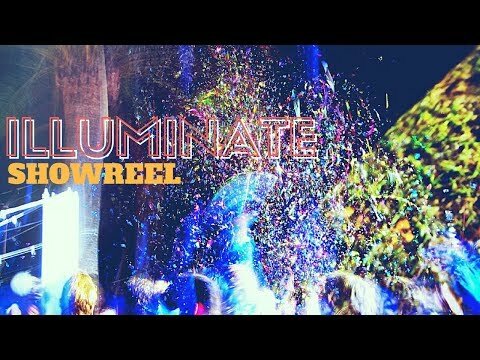 Illuminate - LED Musicians is the coming together of a visually stunning show and musical brilliance that has entertained the likes of Disney, Amazon, KFC, The Ritz and The Roundhouse as well as performing shows in cities all over the world! 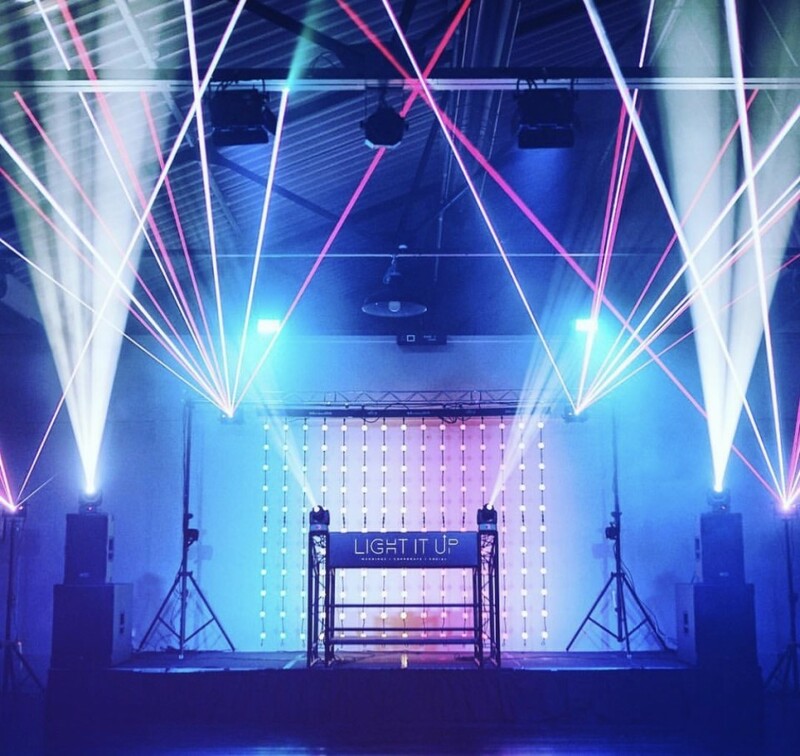 Illuminate can perform in a number of line-ups at varying prices to suit any event and any budget! 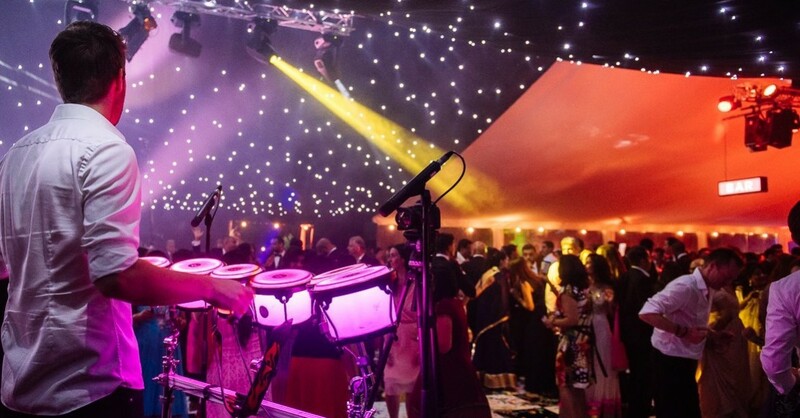 The whole process of booking Illuminate was easy from start to finish, the band members were friendly, responsive to requests and amazing musicians. They were really well received by a young crowd of 19 to 21 year old's at a 21st party. 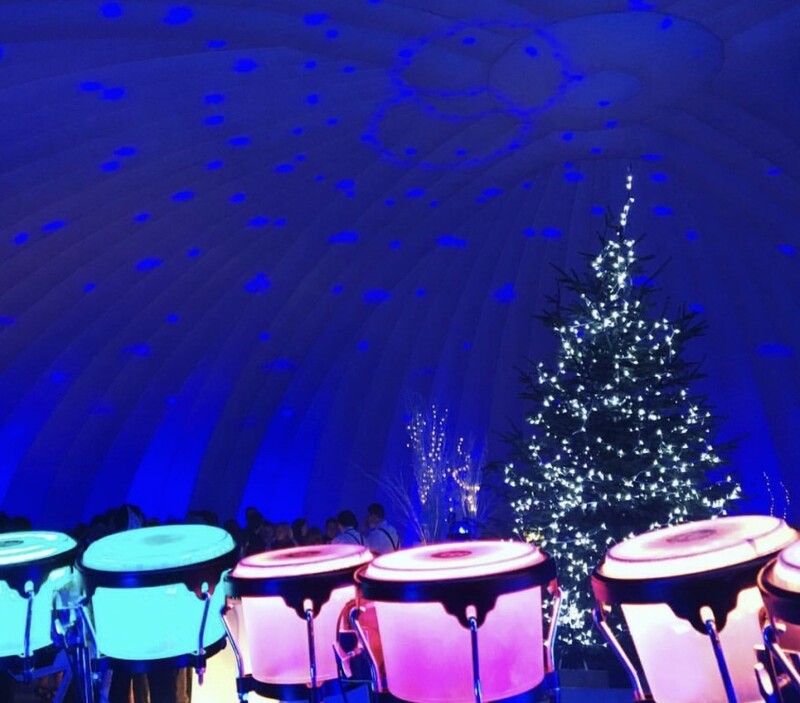 The music was stunning and interacting with the guests with their illuminated instruments just added to the fantastic party atmosphere .Thank you for making our son's birthday such a memorable occasion. Illuminate were great and although it was a work event (during the day in the canteen!) they were awesome! Great music and everyone enjoyed it! Thank you!!! 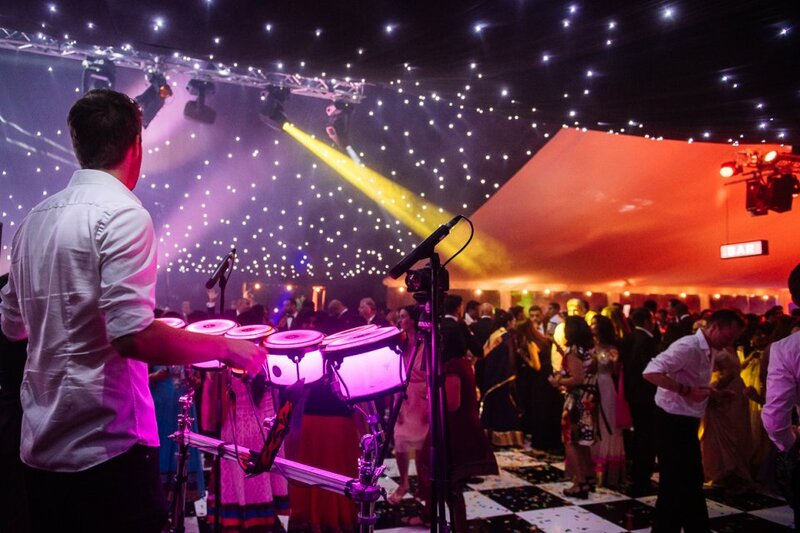 Absolutely brilliant team and the blend of DJ & Band worked really well. Very flexible team and would definitely use them again! In a word - Phenomenal! Exactly what we wanted, couldn't have asked for anything more. Myself and my wife loved it as well as the guests. We have been inundated with requests for your contact details which we have duly passed over. Wouldn't hesitate to recommend and use again in the future. Once again thank you. 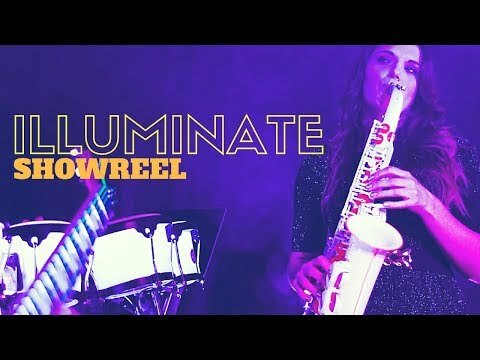 We cannot thank the Illuminate musicians enough for playing at our wedding. Right from the beginning to the end of the night was absolutely amazing. 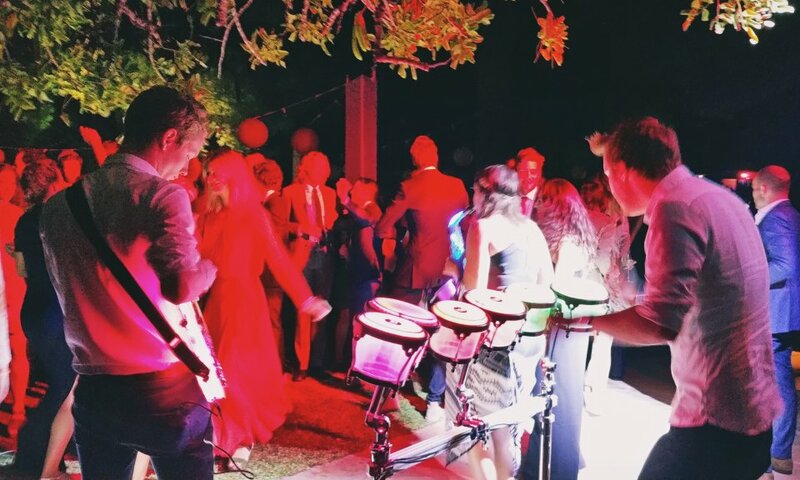 Every single guest both young and old had such an amazing time on the dance floor and everyone was completely amazed with the LED instruments and lights, it was just the perfect touch on our perfect day. The Illuminate musicians were both professional and extremely friendly (even after the trek up to Scotland) I cannot recommend them enough and if we ever have an event again that would house such an amazing act we will not hesitate to book them again. Thank you so much Illuminate! Absolutely everyone was dancing! - young, old, punters, volunteers, staff! Lovely people. Played good music. Lots of people up and dancing; what more could you ask? Illuminate had every one up and dancing. Great musicians with a really exciting twist! 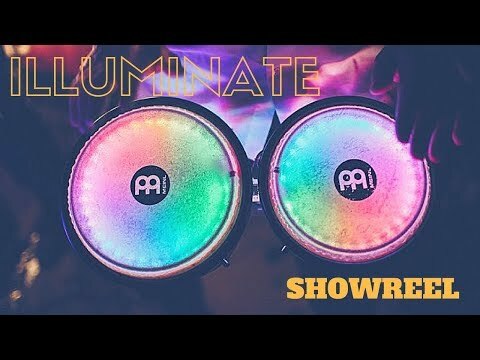 Do Illuminate provide a PA? Illuminate can provide a large PA for your event at a small extra cost. 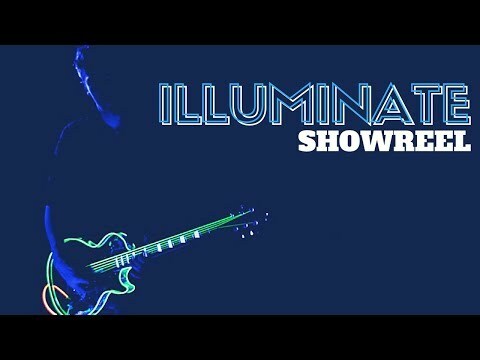 Can I choose the songs that Illuminate will perform at my event? 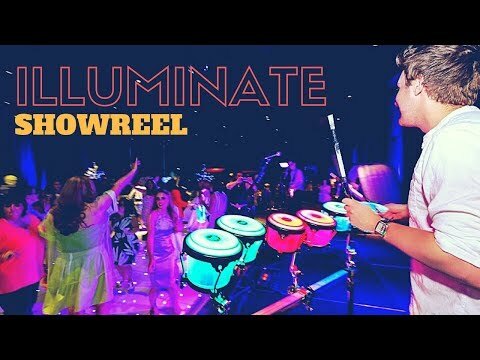 Can Illuminate perform at my Corporate Event? 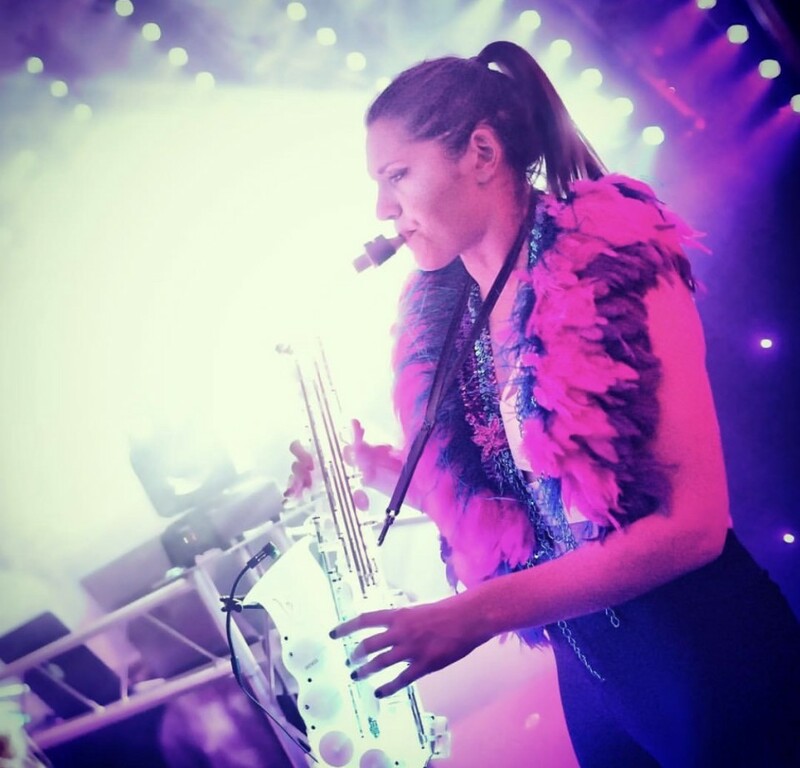 Illuminate have experience performing for Corporate Events, Private Parties, Weddings and Club Nights and will add an exciting twist to any event. 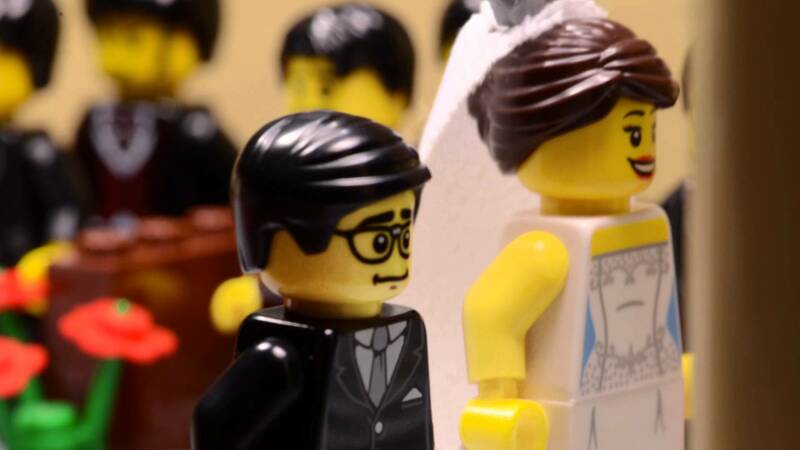 When can Illuminate perform on my wedding day? 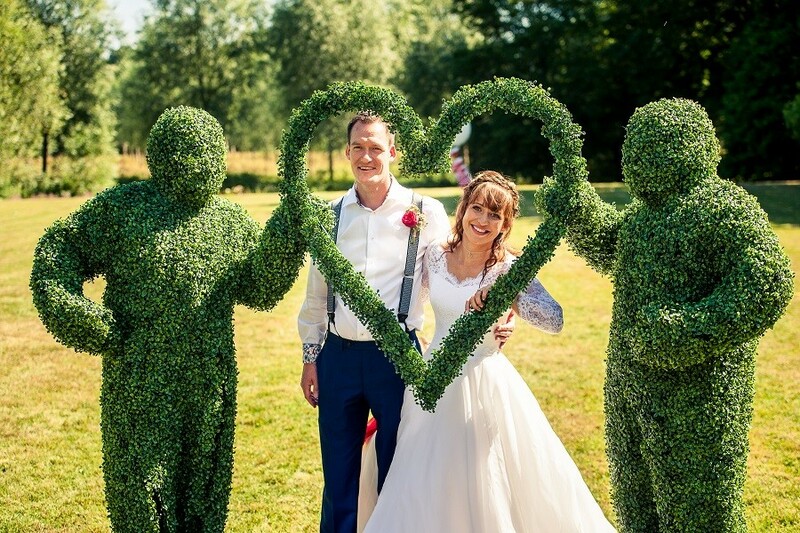 Illuminate offer several wedding packages to suit your special day. 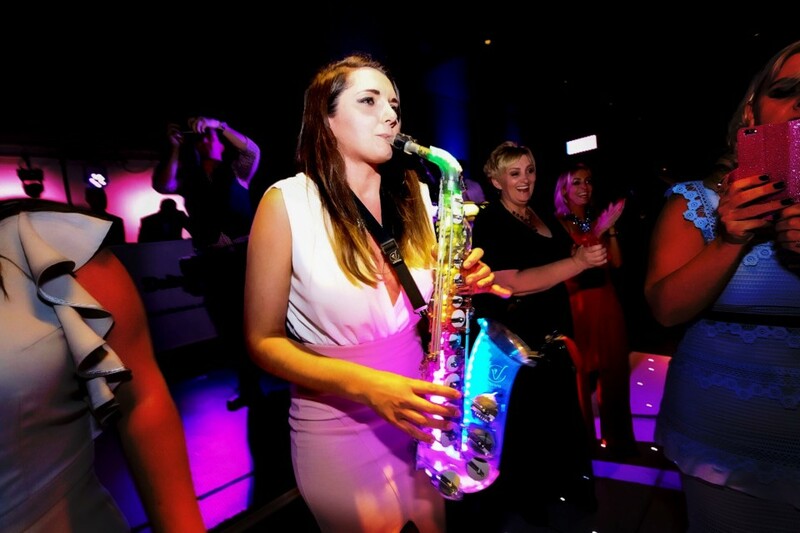 A solo saxophonist can perform at your ceremony, or provide relaxing jazz or chilled Ibiza vibes at your drinks reception. 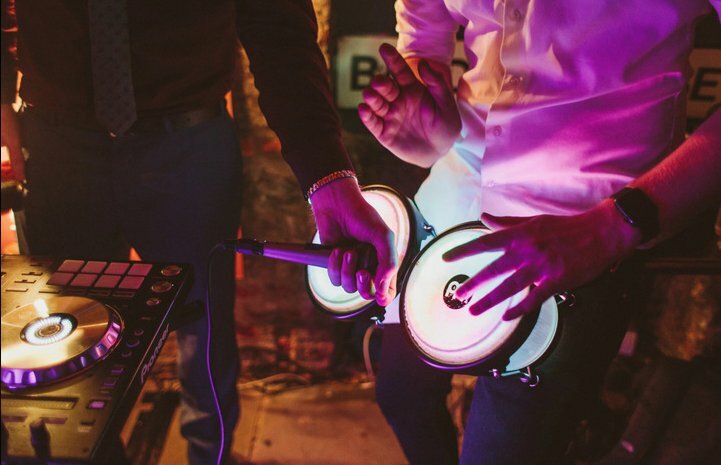 They can also provide a DJ and large PA for your entire evening event, including 3 x 30 minute performances with all three musicians performing on light-up instruments to make your wedding party a night to remember. Yes we are used to traveling all over the world and are happy to work up and down the UK as well as abroad. We can pretty much work with whatever you throw at us. 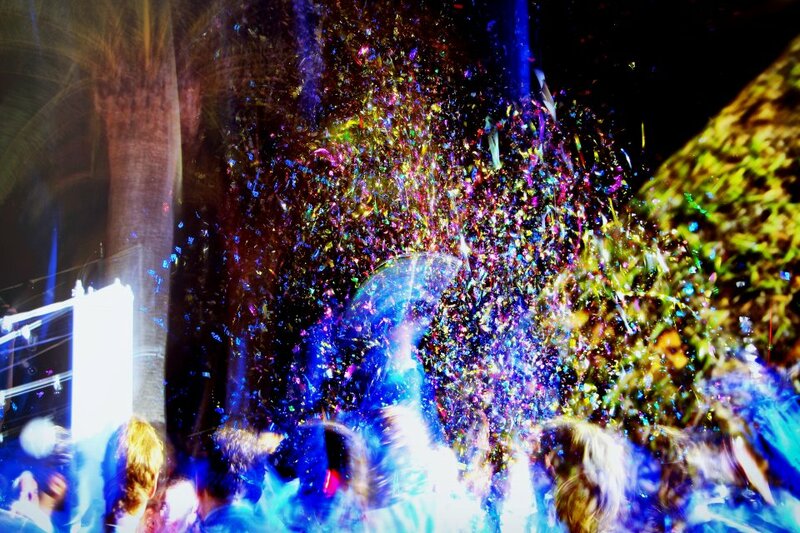 The standard music is normally Ibiza style club and party music but we have worked alngside some soul DJ's as well as at themed nights such as 70's and 80's parties. Do you provide your own DJ? 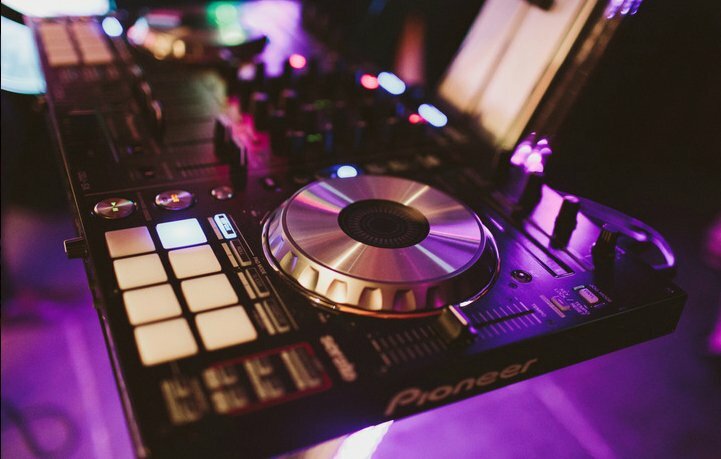 We have a DJ that we work with most of the time so if you havent booked your DJ yet let us know! 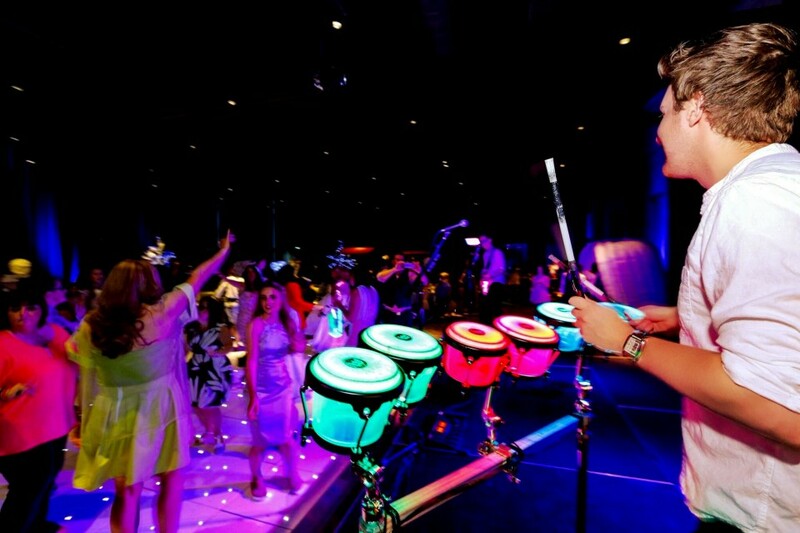 Our most popular package is DJ, Sax & Bongos for the best party possible! Stop Harping on About the Past and Meet the Future! 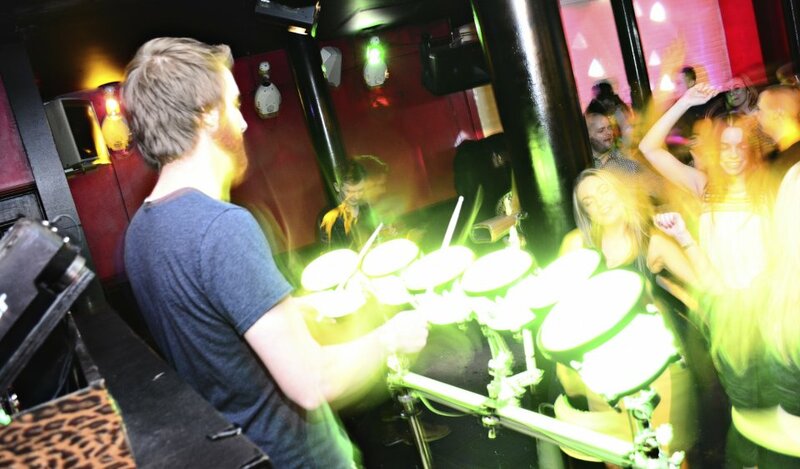 Customers who have enquired for Illuminate have also been interested in the following alternative live music ideas available to hire in the UK. For more information or further options, please call 0845 643 9384.